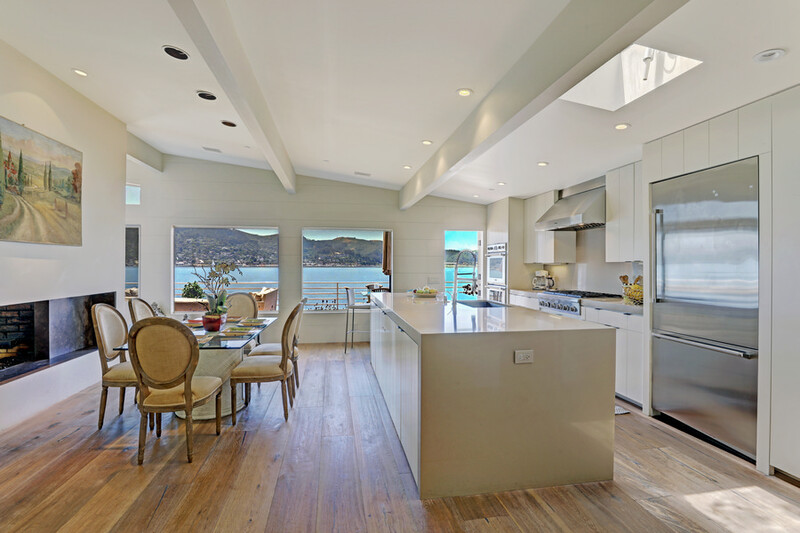 Located on the coveted West Shore Road in Belvedere, this beautiful newly remodeled 3 bedroom, 3 bathroom waterfront home features a state-of-the-art new kitchen, all marble bathrooms, living room with high ceiling and a large fireplace, wide plank hard wood floors through-out, luxurious full floor master suite with terrace overlooking the Bay. 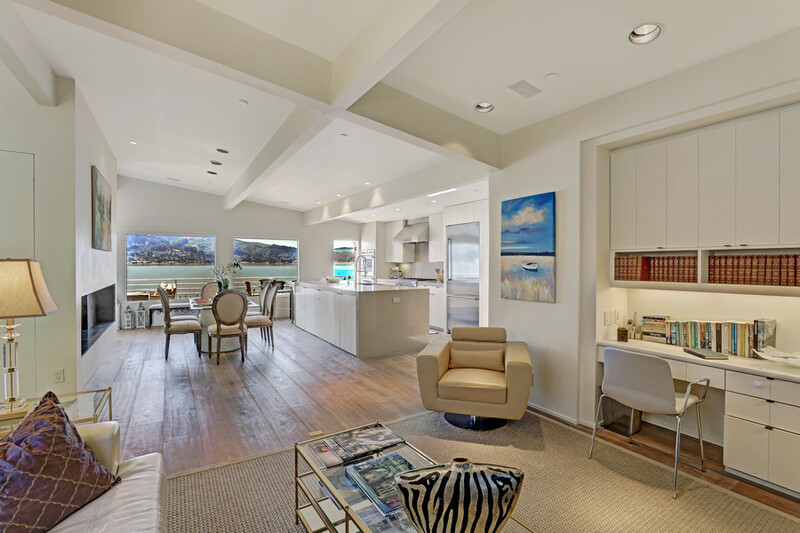 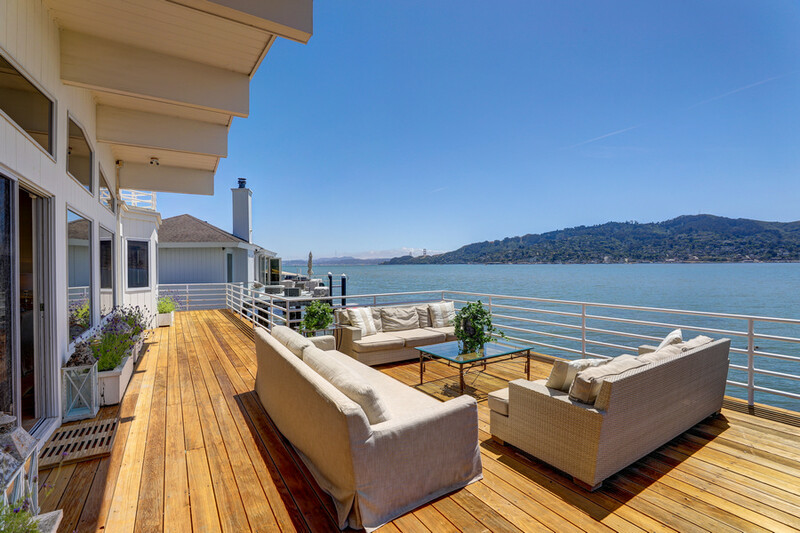 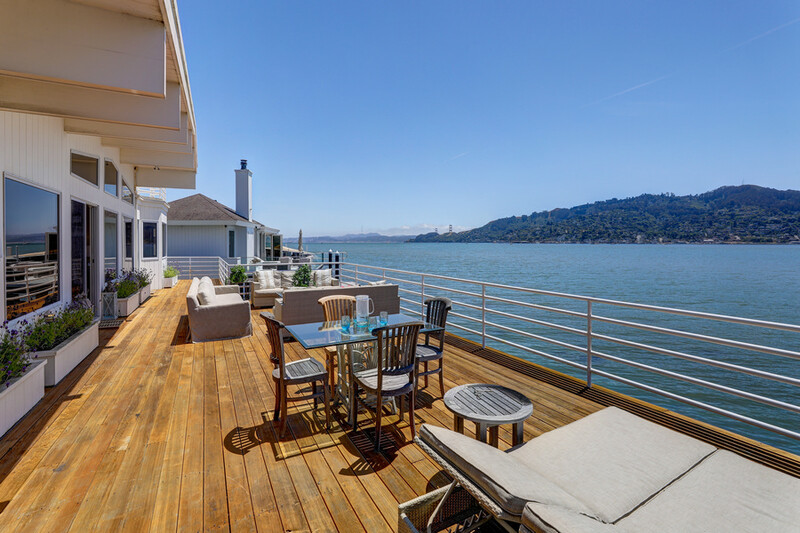 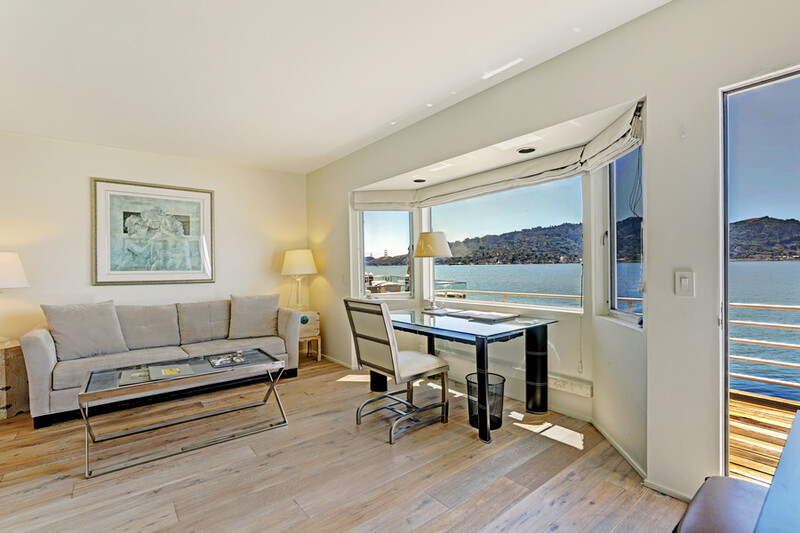 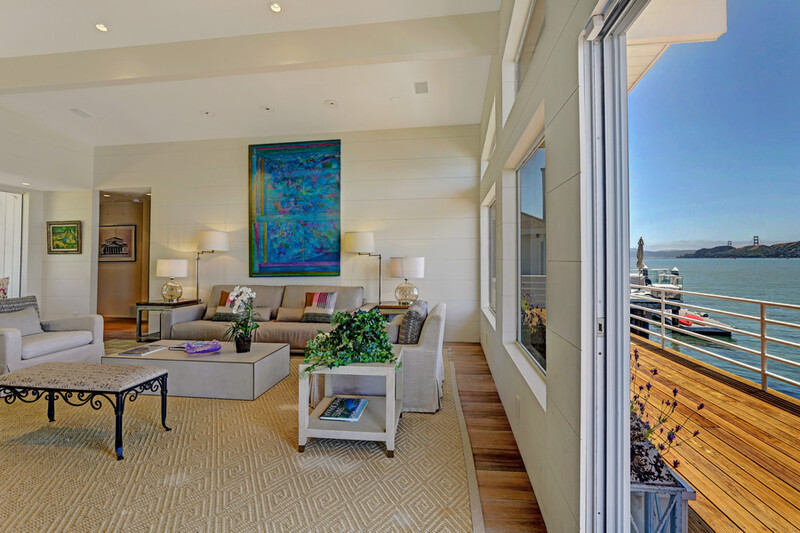 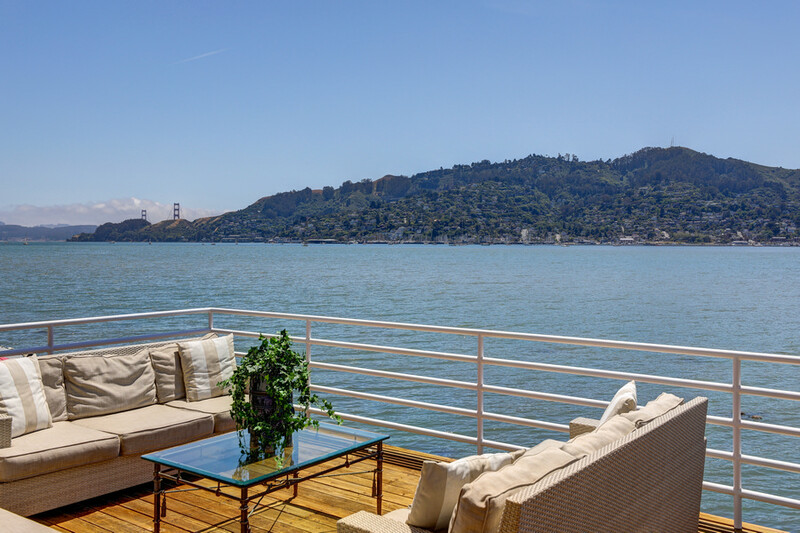 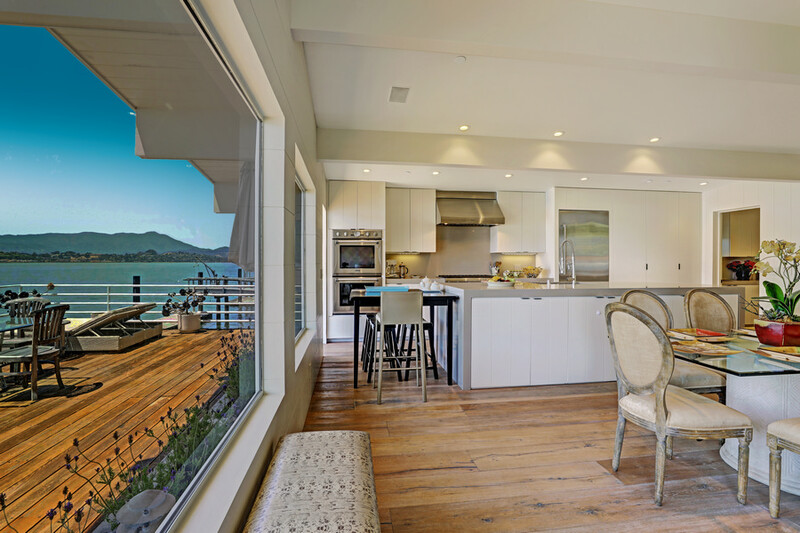 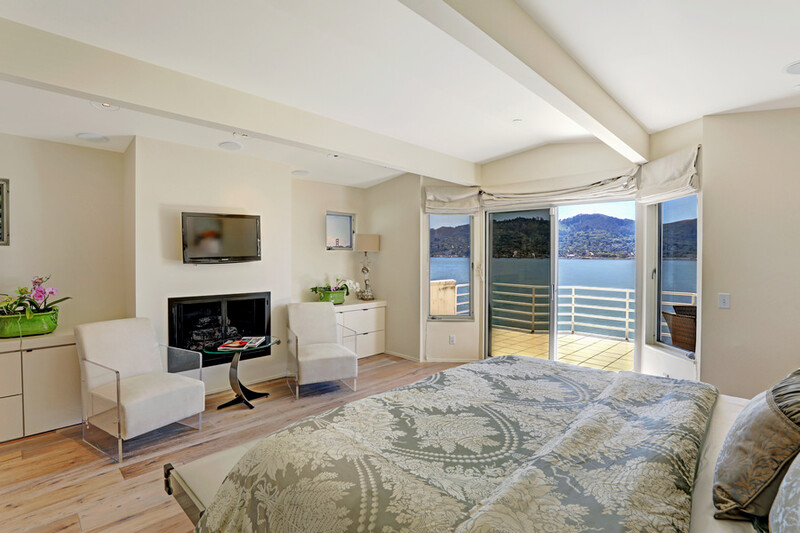 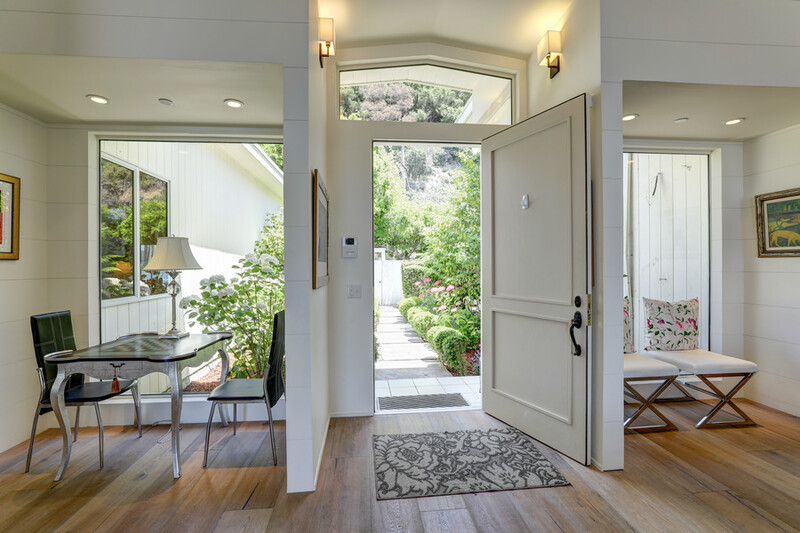 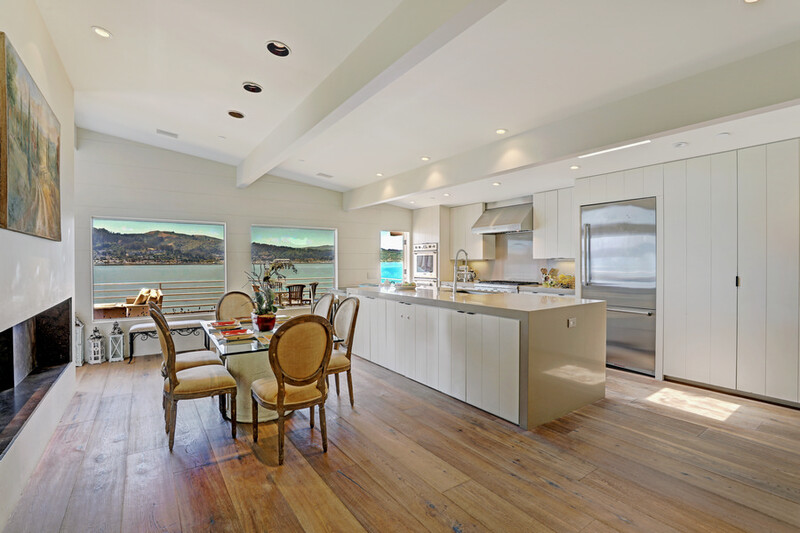 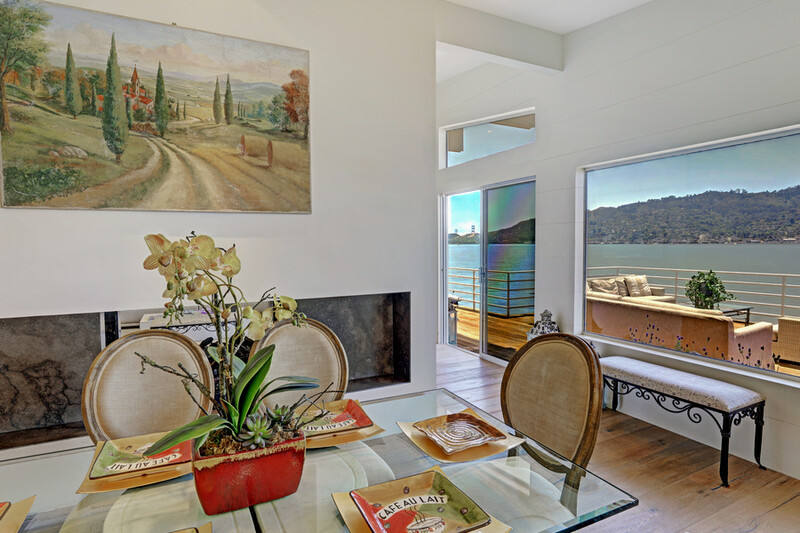 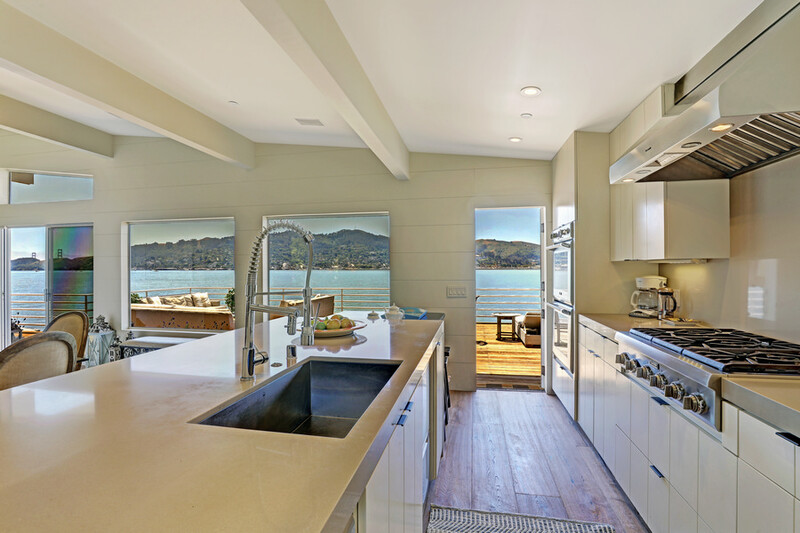 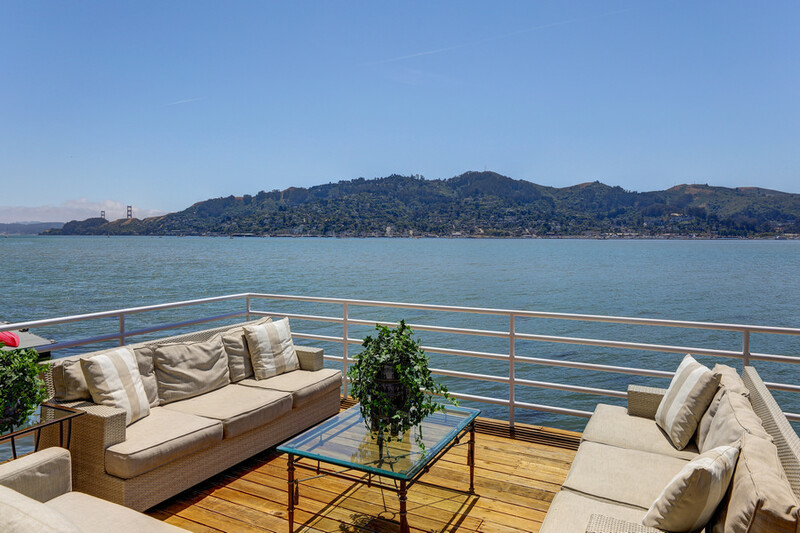 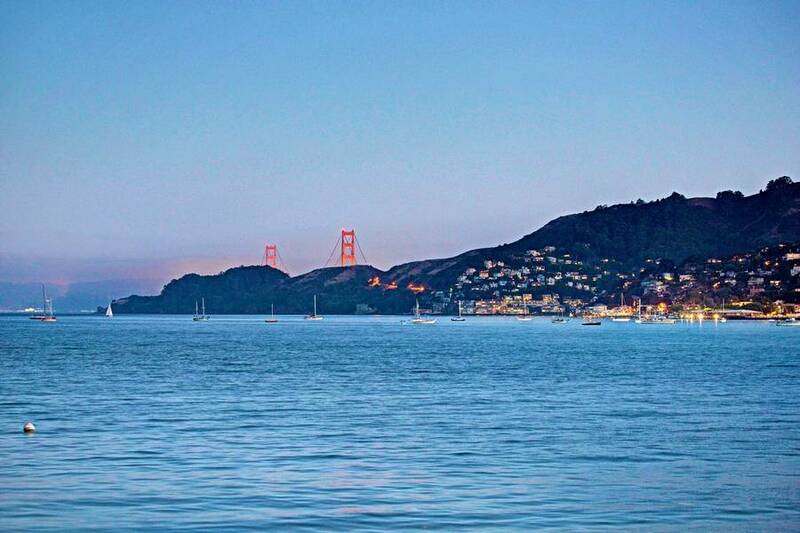 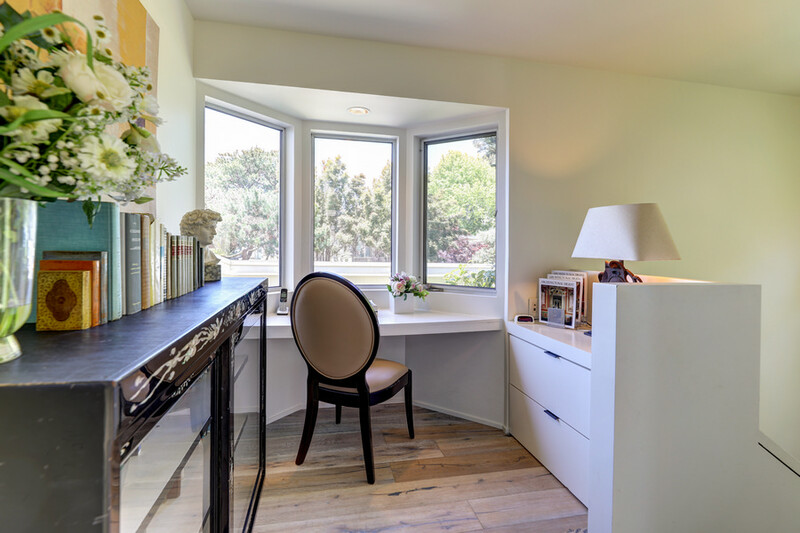 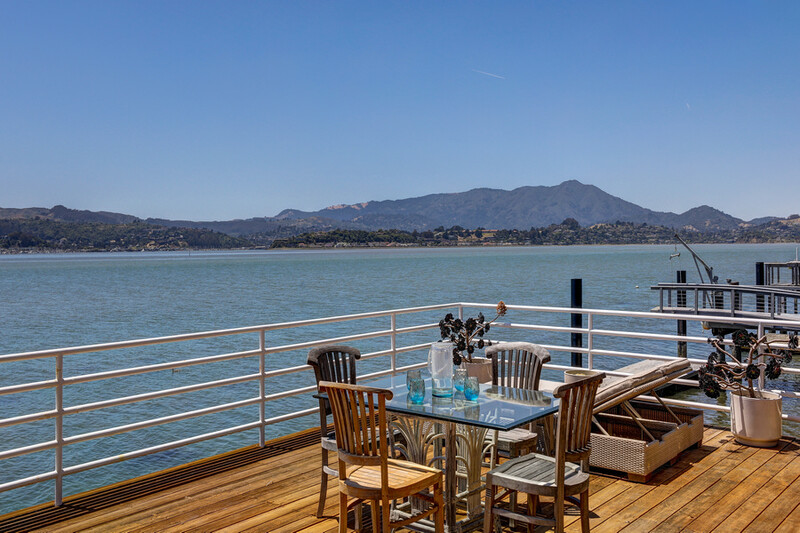 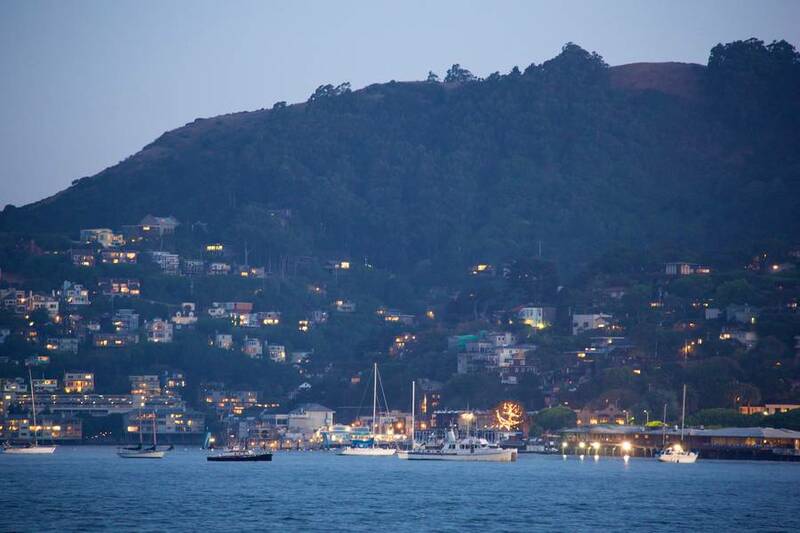 Main floor opening into a 1,000 square foot deck on the water’s edge with spectacular views of Sausalito, San Francisco, Golden Gate Bridge, Mount Tam and beyond. 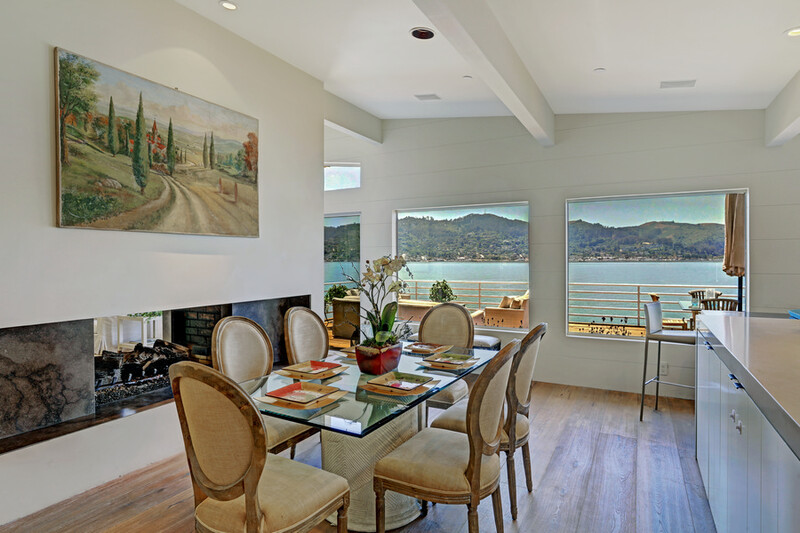 Living room and dining room share a double-sided large fireplace. 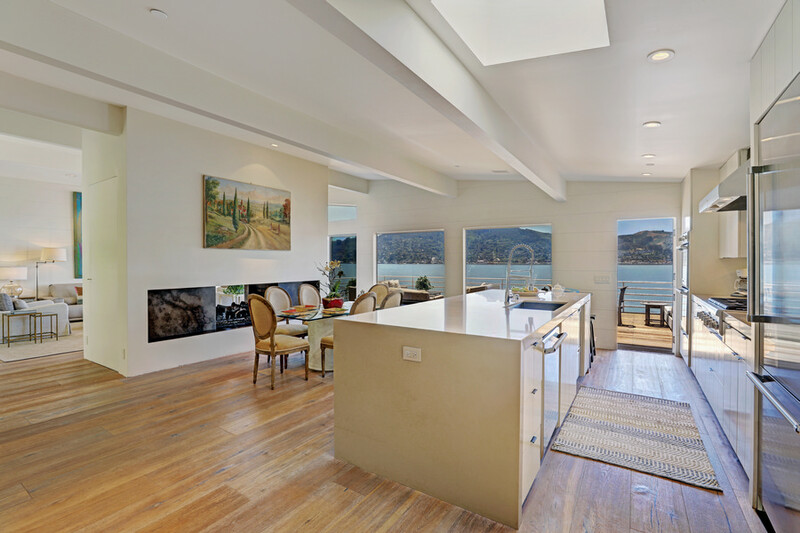 West Shore Road is flat, wide and has ample off-street parking besides the 2 car garage. 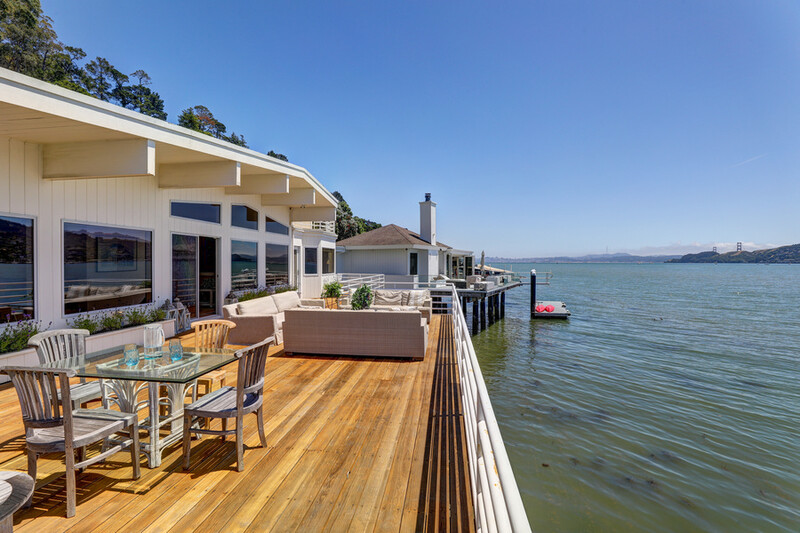 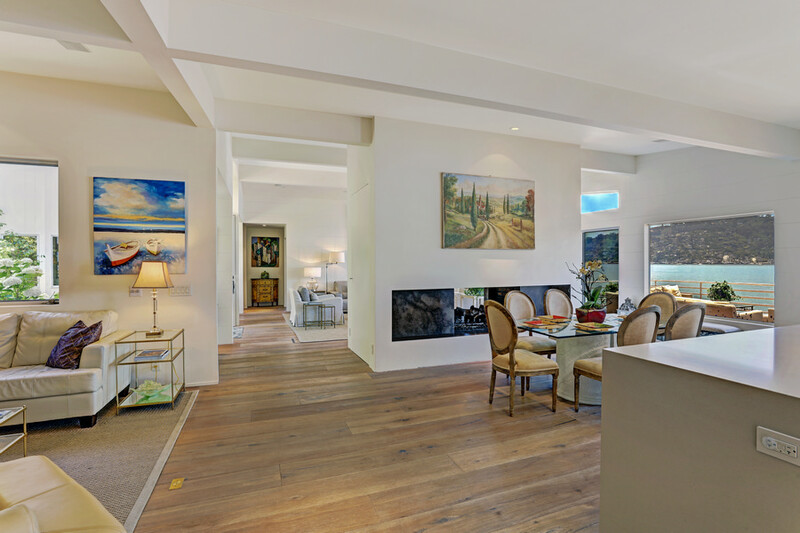 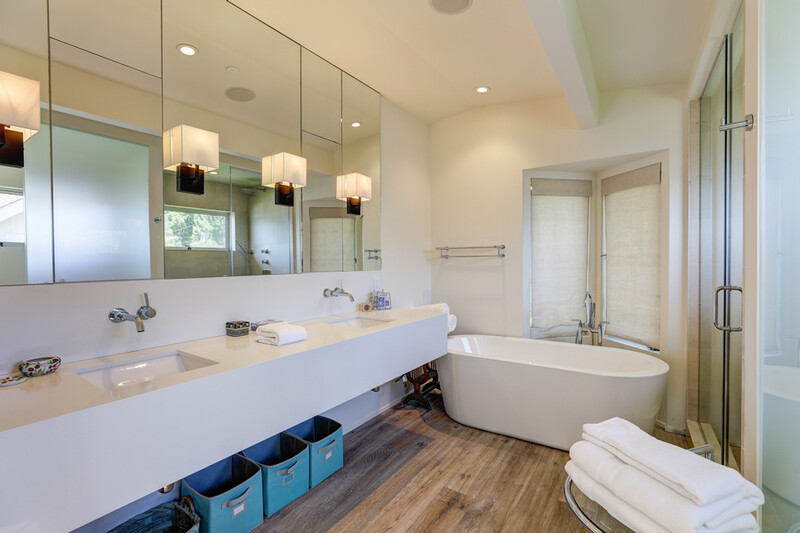 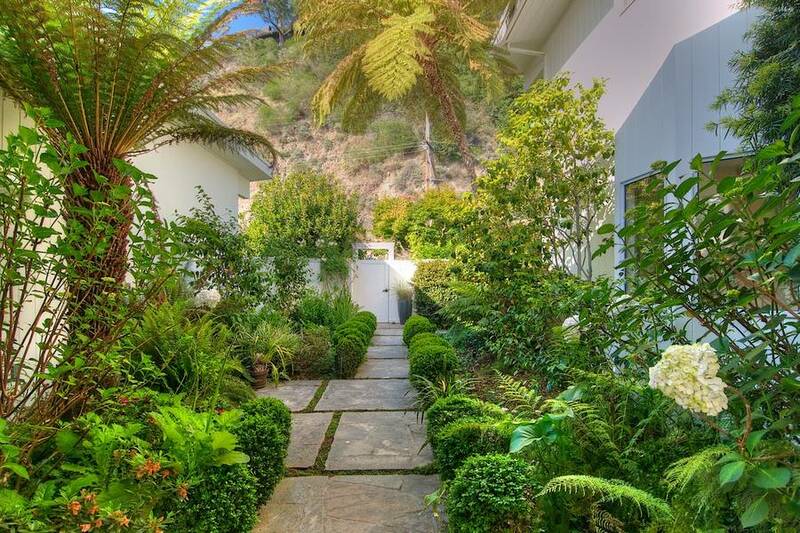 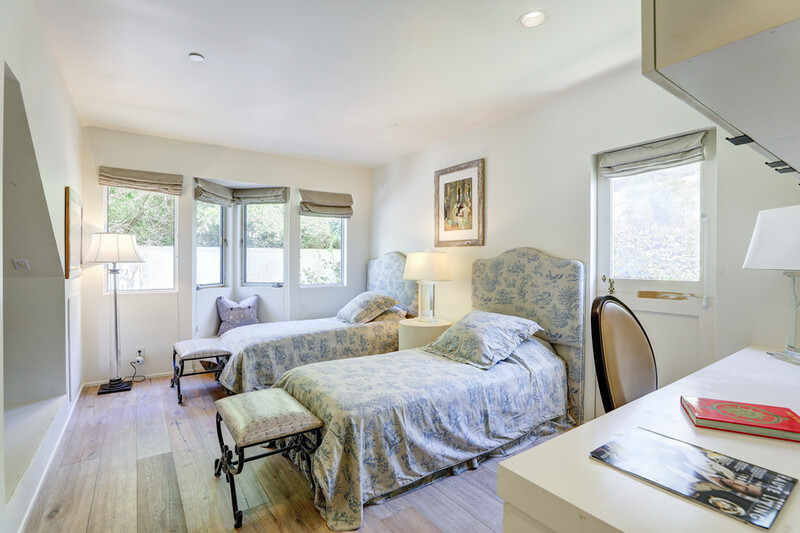 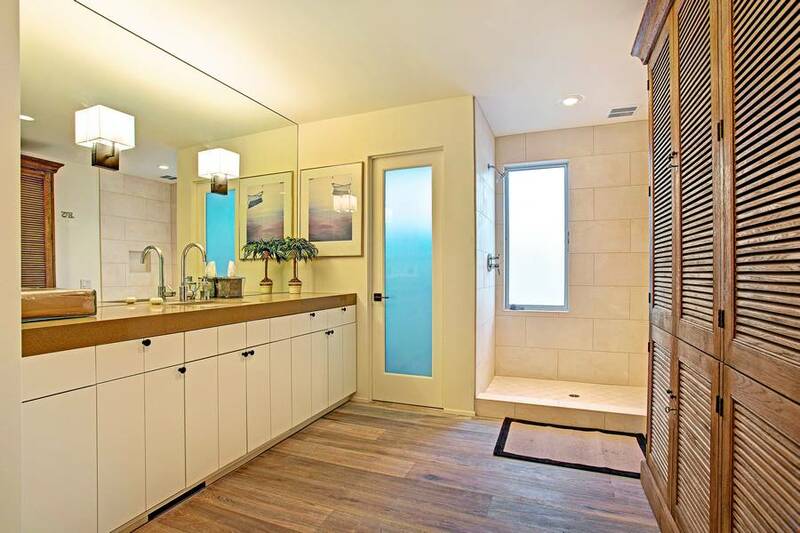 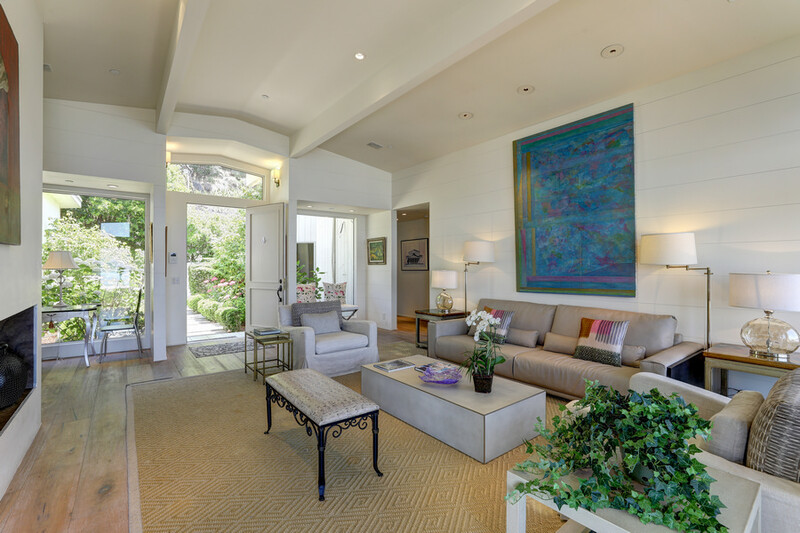 3,000 square feet home, 1,800 square feet of Bayfront decks, and level gardens. 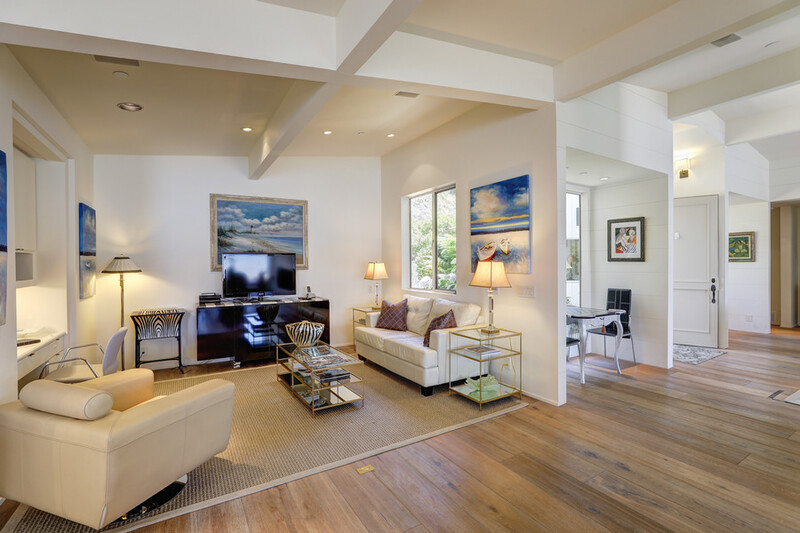 The property is on land lease with 26 years remaining at appx. 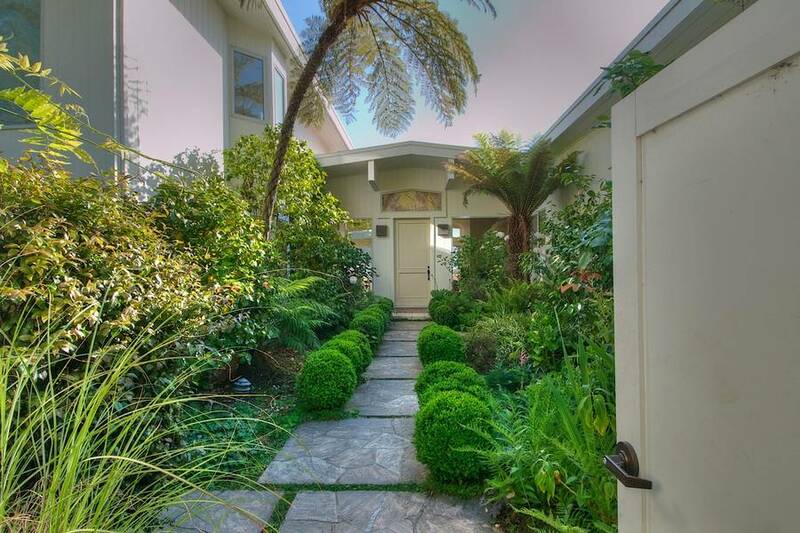 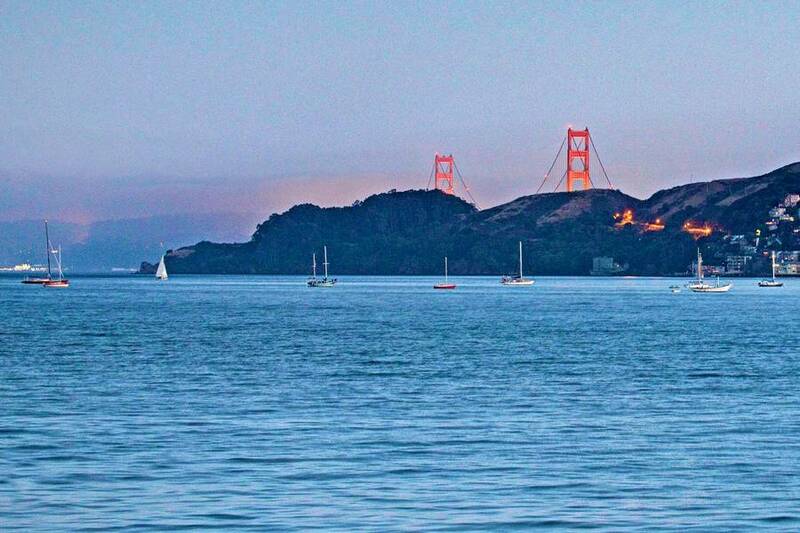 $10,000 per year rent, payable once a year. 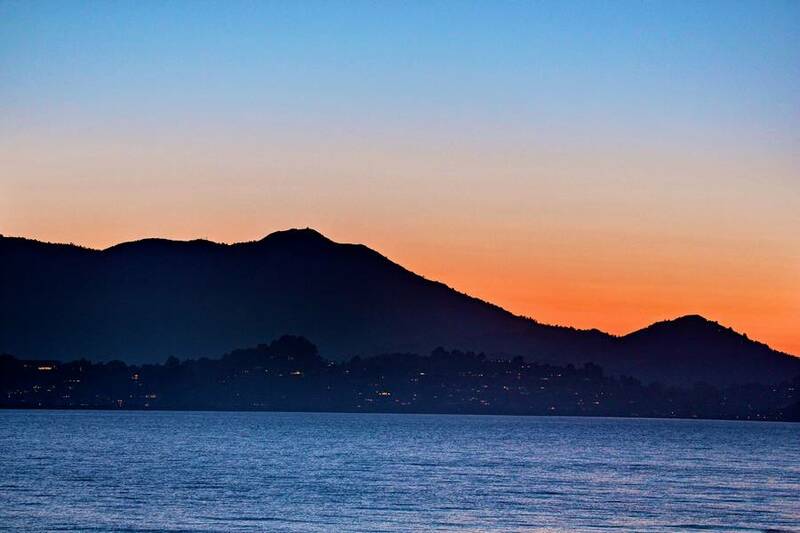 The land is available for purchase during lease term.